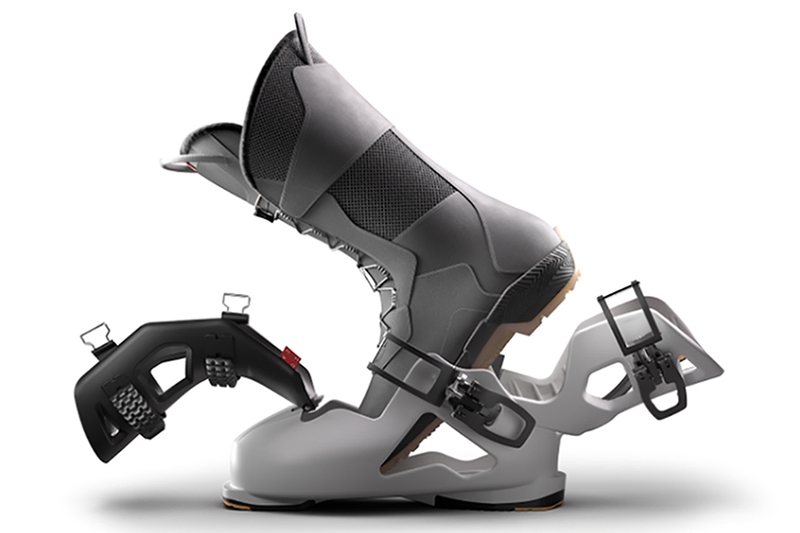 As the Dahu boot makes its way to the US, will ski boot technology be changed forever? “It’s time to disrupt ski hardgoods,” said former Burton executive Clark Gundlach—and that might be exactly what he’s helping to do. Ski boots have always faced the same predicament: They need to be really stiff to give users better control over their skis, but that can make them difficult to enter and uncomfortable to wear. Pain and function have, seemingly, always been at odds. But Gundlach and his team believe they have a better solution. The end of custom bootfitting? Born in Switzerland, the Dahu ski boot has had Europeans like Eduard van de Kraats of Top Secret Ski and Snowboard, a shop in Davos, Switzerland, excited for a while. “For me, it’s the future of the ski boot,” he said. The boots, which Gundlach, president of the brand’s American division, is helping introduce to the United States, are a real departure from the way ski boots have been designed in the past. While in most boots, you can peel back the tongue but still need to force your foot into the back of the boot, Dahu boots have hinges at both the front and the back, allowing the entire shell to open up ultra-wide like the mouth of a shark—an entry they call the Corsair. The result? Not only is the boot far easier and less painful to take on and off, but it also negates the need for custom bootfitting, making it comfortable to a wide range of feet right out of the box. Strategic cutouts in the Grilamid shell alleviate the usual pressure points without compromising on stiffness, all of which adds up to a boot that stays comfortable and doesn’t create pressure on the foot, except when engaged going downhill. The wide-open entry to the boot also allowed Dahu to beef up the liner to also function as a full-featured winter boot. The Cambium Boot is made from fine Italian leather and PrimaLoft insulation, a combination of materials that make it warm, waterproof and comfortable. Plus, a lugged rubber outsole on the removable liner means you can slip it right out of the shell to wear in the car on the way to the mountain, in the lodge, or running errands after a full day of skiing, without any need to change your footwear throughout the day. When you’re ready to ski just slip it into the jaws of the shark and buckle the boot up. “Many customers are very skeptical at the beginning and have the fear that the ski boot doesn’t have the same performance as a normal ski boot,” said van de Kraats, who has already had success selling the Dahu boot in his shop. But according to him, customers quickly see just how well the boot stacks up compared to more traditional alpine boots. “If you give people a [demo boot], this prejudice quickly disappears,” he said. He also believes the discomfort that comes with traditional ski boots keeps more people off the slopes and that the better and easier fit combined with all-day comfort and good control will encourage more people to try the sport. For Dahu, stiffness and control do not need to equal discomfort, and that’s one of the best and biggest changes we could see in the ski industry.